Holidays. We’ll never go on one again. At least, that’s what I tearfully said to my husband a few days after Hazel was born. I have no idea where that particular myth came from as I’d never actually spoken to any parents of children with Down’s to find out if this was true. But I’d read it, along with a myriad of other falsehoods and generally outdated information and that was enough. I was convinced our Great British seaside holidays (never mind going abroad – that was just completely out of the question!) were now at an end. Except….Someone forgot to tell Hazel that she couldn’t cope with holidays. We do have to be careful in choosing our destination. Holidays with Hazel do take more planning and there are places we wouldn’t even attempt to go to with her. The Isle of Wight has become a firm favourite with us for a holiday destination. Its slower pace of life (set in a time warp some say) and its micro climate make it ideal for us. Throw into the mix a sea view and a hot tub (no sensory overload in a public swimming pool for Hazel) and its easy to see why this place is enough for us. A change without upheaval. Oh, and there’s a washing machine here too. Vital. When we do venture out for a bit of sight seeing we may spend hours pouring over leaflets deciding what will work for us beforehand. Jumping in the car and seeing where you end up is rarely an option when you have a children with additional needs. I love attraction leaflets. I could read them for hours. Pour over every single detail, looking for the catch, looking for the deal breaker. A reason why we can’t go there. I usually find it too. Inadequate changing facilities (or lack of them), children’s play areas; squealy, shrieky, shouty places that Hazel would barely last 5 minutes in. So many challenges to overcome in order to have fun, spend time together, pleasurably. They are often no pleasure at all. But here, on the Isle of Wight, there is always something for us to do without these challenges. And yesterday we found such a place. Now. I’m often a little suspicious when any attraction has the word ‘World’ in its title. I’ve clearly watched too many episodes of Peppa Pig – Potato World, or Tree World to name a few. Glorified places of ‘interest’ with very little of ‘interest’ when you go beyond the brown tourist sign. I had my reservations as soon as we drove into the near empty car park. After paying the entrance fee (cheery attendant telling us we could go in an out as many times as we liked), we went in. First, we had to go through Butterfly World. It didn’t take long. Not because there wasn’t much to see – there was. Beautiful butterflies of all shapes and sizes flitted and floated around our heads. A helpful expert on hand to tell us all he knew about the life cycle of the pupae. Eldest child’s aversion to all living creatures kicked in and she made for the exit. Head down, almost commando crawling to the door to escape, losing the plot with every leaf that moved as she went. Mr Pupae looked a little crestfallen. He’d been waiting all day for an audience. And so we found ourselves in Fountain World. And this is where I take issue with the title. Fountains there were. A world of fountains? Forgive me for suggesting otherwise. We stepped further into Fountain World, sniggering quietly to ourselves as to the absurdity of such place, and why there were only a handful of visitors, but secretly enjoying its quirkiness at the same time. And then there was magic. In the aptly named Italian garden, cheesily styled with fibreglass temple porticos and statues galore, was a pond. And in the pond, a fountain. A dancing, jumping, joyous fountain of delight. Hazel loved it. As the water shot into the air so did her hands. Each jumping jet of water matched by her excited jumping body. She clapped her hands with glee at this most unexpected water fantasia. The fountain had a variety of different moves and routines. Hazel, who cannot yet walk or talk, was transfixed. Mesmerised. She would have happily stayed there all day watching it. Fountain World was just that to her. It was everything. It was wonderful. Glorious even. A joyful and tranquil place. Unexpectedly delightful in its quirkiness. The cafe was empty. Most tourists had overlooked Fountain World in favour of the beach or one of the more popular tourist attractions on the Island. I get why they did that. I would have done it myself had things been different. And yet they missed out, in my view. In Hazel’s view. I recall being afraid of another ‘world’ some years ago. It was a world I definitely didn’t want to join. Be a part of. A world that I wanted to avoid. A world that I found myself in the middle of, without asking. I would have happily driven past the brown sign to this world if I could. The Down’s syndrome world. I won’t lie – It’s a world that has brought me more challenges, more pain and more difficulty than I had known before. Even as I began writing this post, we were thrown into a full on emergency situation here in our holiday lodge, as Hazel’s feeding tube sprang a leak and had to be changed. The threat of a hospital stay is ever present in our lives. And yet, it’s a world that has brought more meaning, purpose and joy to my life than anything I had known before. Many expectant women today see same brown sign that I did. It’s a destination they don’t particularly want to end up at. It’s got bad reviews. There are better places to go. More attractive places, more popular destinations. And, in many ways, they are right. Of course there are. But they have been sold a lie if they think this destination has nothing to offer. In fact, they may well have just driven past the most joyful and enriching experience of their lives. All because someone said ‘It’s not worth it, don’t go there’ or because they believed the myths about bringing up a child with Down’s syndrome. Hazel loves holidays. For a while, I believed the myths. She has gently, consistently and patiently proved to me, over and over again, that they are just that. Myths. Hazel has Down’s syndrome. She is not Down’s syndrome. She is Hazel. 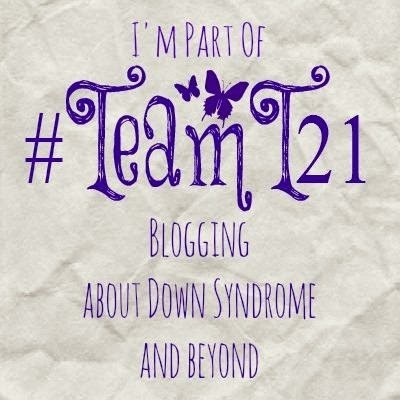 Categories: Abortion, Acceptance, Down Syndrome, Down's Syndrome, Joy, Trisomy 21 | Tags: #dontscreenusout, #downssyndrome, #downsyndrome, #fountains, #holidays, #NIPT, #Team 21, #Trisomy21 | Permalink. Married. Mum of 2 girls, one of whom has Down's Syndrome. Follower of Jesus. Finding joy in unexpected places.